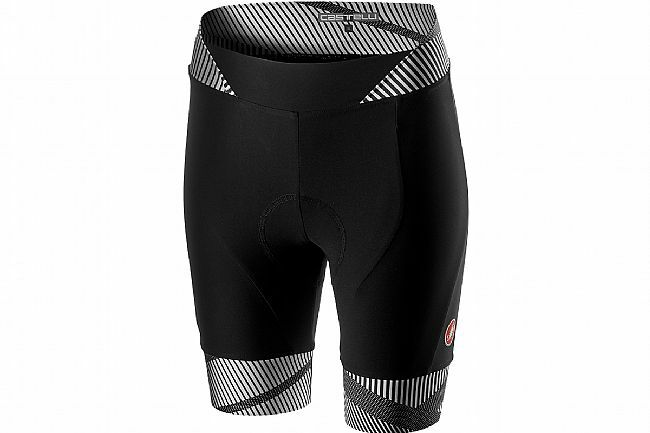 Castelli's Women's Millerighe Short features soft yet muscle supportive Invita Strong fabric and an articulated soft-touch waistband. The raw cut leg openings with scorpions silicone dot grippers ensure the shorts stay in place without constricting the legs. 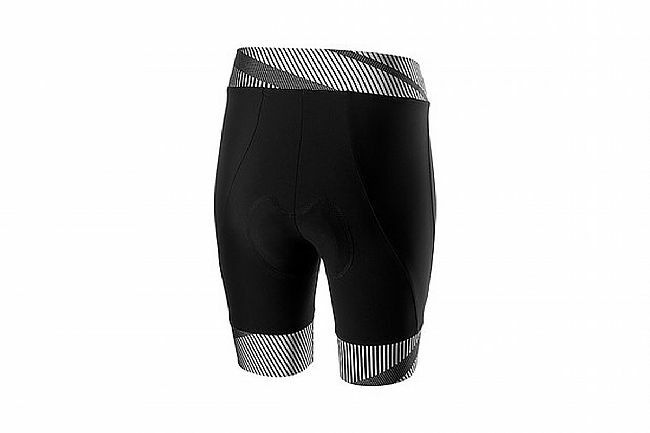 These shorts are equipped with a KISS Air2 Donna women's-specific chamois for long distance comfort. Women's KISS Air2 Donna seat pad. Raw cut leg cuffs with silicone dot grippers.